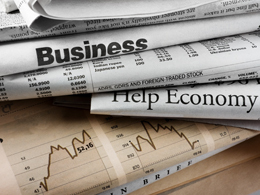 Last week’s economic data was a mixed bag, focusing mostly on the consumer but also touching on business and the economy as a whole. On Tuesday, the Conference Board’s Consumer Confidence Survey dropped from a revised 103.5 to 98.6, much worse than the 101.5 that had been expected. Last month marked a nine-year high for the survey, so a decline was both reasonable and expected, just not one as big as we saw. The larger drop wasn’t a total surprise, however. Given the upcoming election and last month's very high reading, additional downside risk had been noted by some analysts. Overall, confidence remains consistent with economic growth, and the drop simply appears to be an adjustment to a level more in line with other indicators. The final piece of September housing data—new home sales—was released on Wednesday. The news here disappointed as well, with sales down from 609,000 to 593,000, worse than the expected 602,000. July saw a spike in sales, however, and the decline has continued to move the numbers closer to normal levels. Further, the drop appears to be due more to lack of supply than lack of demand. The longer-term averages, for the past 6 and 12 months, continue to rise and are now at the highest levels since 2008, showing that the upward trend remains intact. Moving away from the consumer, durable goods orders, released on Thursday, gave us a look at business sentiment. On the surface, the news was also a disappointment, with headline orders down by 0.1 percent, against an expected increase of 0.1 percent. This is somewhat misleading, however, as the drop was due to a 44.5-percent decrease in defense aircraft orders, which has little to do with the health of the private economy. Core orders, which exclude the transportation sector, swung from a decline of 0.2 percent to a gain of 0.2 percent, as expected, which is a much better signal. Overall, though the third quarter probably showed a decline in business investment, the trend is improving and may well change next quarter. Finally, the first estimate of economic growth for the third quarter was released on Friday. Growth beat expectations, coming in at 2.9 percent versus an expected 2.5 percent on an annualized basis. More than double the growth of 1.4 percent in the second quarter, this was largely due to a surge in exports and inventory restocking, but the economy also benefited from a rebound in energy industry investment. Consumer spending growth slowed somewhat but, at 2.1 percent, still helped sustain growth. The acceleration in growth suggests the slowdown of the first half may be passing—a significantly positive data point. This week’s data is also wide ranging and should give us an idea of whether faster growth is continuing. We start with the personal income and spending report, released this morning. Personal spending increased by 0.5 percent in September, up from the prior month’s downwardly revised drop of 0.1 percent and slightly above expectations of a 0.4-percent gain. Personal income, on the other hand, was up only 0.3 percent, better than the previous month’s 0.2 percent but below expectations of a 0.4-percent increase. Both of these figures suggest continued growth, but higher spending and lower income growth raise questions as to the sustainability of that growth. We’ll get a look at the business sector with the ISM Manufacturing Index on Tuesday and the ISM Non-Manufacturing Index on Wednesday. The manufacturing index is expected to remain stable at 51.5, signaling continued slow but positive growth. The non-manufacturing survey is expected to drop back slightly, from 57.1 to 56.0, which is still a very strong level and consistent with continued growth. If these indicators come in as expected, it would be a good sign for continued growth. On Friday, the international trade report is expected to reveal that the trade deficit remains essentially stable, down to $41 billion from $40.7 billion. There is some upside risk here, as goods exports increased by 0.8 percent, and services imports are expected to decline. Finally, the most important news will be the jobs report, also slated for release on Friday. Job growth is expected to rise from 156,000 to 173,000, with the unemployment rate dropping back down to 4.9 percent and wage growth ticking up from 0.2 percent to 0.3 percent. This would be another strong report, signaling continued growth with the possibility of further acceleration. The other economic news this week will be the Federal Reserve’s regular meeting. Although the Fed probably won’t decide to raise rates due to the pending election, analysts will be watching for any signal that December is likely to be a go.